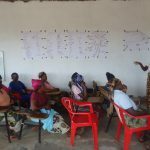 “I wanted to help KAHE community, and I knew that a literate community is a developing community”. 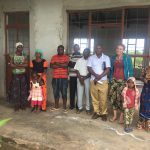 Majengo village Community Library is a small and focus to be successful library in Rural Tanzania specific Kahe wards, Moshi rural district in Tanzania. More than 100 children enrolled in kindergarten and day care annually. More than 2000 youths enroll them in the center for development studies and innovation skills. Moe than 150 households in Kahe east and west ward. Secondary school students and staffs from three community schools within the area teachers (Ghona, Chongi and Mangoto sec schools). 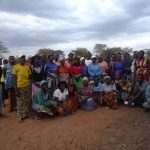 The most benefiting group are farmers and women who need to access information, reads and learn more about their economic activities and related issues. The launch of the permanent library, in collaboration with book feeding organization will be a big step. Once established will be open until 6 pm but later if we would get solar power it would be open till 8pm and the proposed room would accommodate for up to 40 community at once and during the day and morning could also accommodate children and school students . Our source of books will depend on donors within and outside Tanzania, outside Tanzania and even from other local and international association and individuals. It is a community and children gathering place for knowledge enrichment for the local community and serves as a window to the world via via books knowledge and late Internet technologies. Reading readiness and reading skills will be offered as supplemental to community basing on their activities like farming horticulture, beekeeping, animal husbandry and fiction and non fiction for schools children as well as literacy programs for adults. Our main reading and library contents will include the following type of texts and readings even though later as we grow we would have solar power and computer with internet where the community would get numbers of online resources and could read through the internet. 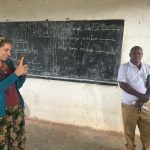 The people who will use the library most are the communities, students and teachers KAHE WARDS and 7 schools around the areas, but increasingly, primary and pre-school children will also using the library. Local residents will use it regularly, too. The library will serve all in the community — from those who are able to read, to the newly literate, to those who want to learn to read and write. Till now we haven’t decided on how it will work but we are sharing the ideas with numbers of stockholders the way we would make MAJENGO COMMUNITY LIBRARY SUSTAINABLE as soon as we complete turning the building into library .As we’re sure that there should be the running costs of the library to provide the facility for the local community which includes training local librarians together with other ancillary items such as subscriptions to the national newspapers.